Every day in Cúcuta, Colombia, thousands of Venezuelans wander through the border city, desperate for a way to survive. Some work as street vendors, others look for anything they can do to feed their families. Their faces reflect despair, suffering and pain. In the last several years, thousands of Venezuelans have poured across the border into Cúcuta, Colombia. They are fleeing the socioeconomic and political crisis in their own country that began under the presidency of Hugo Chávez and intensified under the government of President Nicolás Maduro Moros. Venezuelans are facing hyperinflation, hunger and crime, leading to mass emigration. According to the UN Refugee Agency, more than one million Venezuelans have entered Colombia. Many are sick, homeless and hungry. Many of the asylum seekers have come to the poorest communities of Cúcuta looking for refuge. These Venezuelans are finding help from an unexpected source. 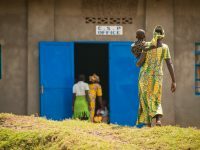 “You can’t out-give the poor,” Compassion International President Emeritus Wess Stafford has said. Sometimes those of us in affluent circumstances think those with few financial resources have little ability to help others. 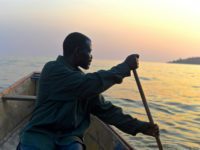 We think of them simply as “the poor,” defining them by their lack of resources. But the opposite is often true. As Compassion staff, we have witnessed again and again across communities and countries how those with little materially are so often the ones reaching out in generosity in times of need. Ana is one of the rescuers of the Venezuelan asylum seekers. Ana is a housewife who takes care of her children, including 6-year-old Deybi, who is sponsored through Compassion. Her husband does whatever work he can find to provide for the family, including cleaning a gas station. Ana met a young Venezuelan family who moved near their home. They have a 2-year-old son and the mother is pregnant. 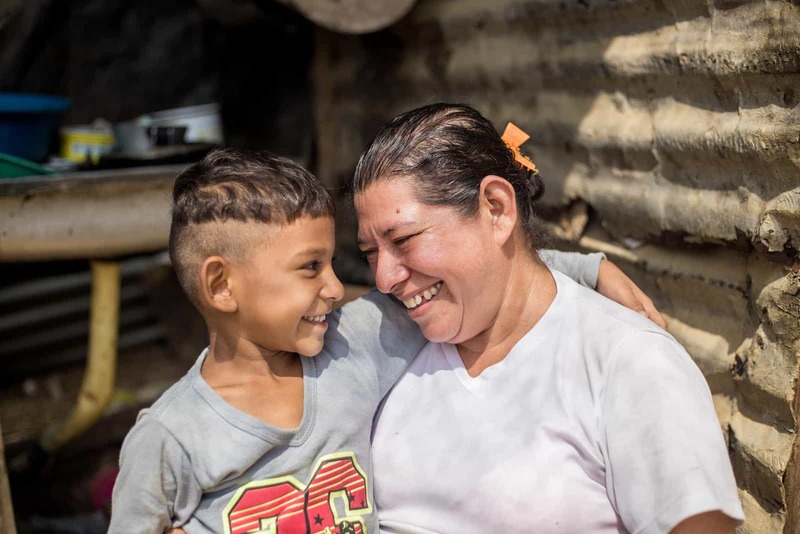 Seeing their desperation, Ana knew she must help – even though her own family lives in deep poverty. 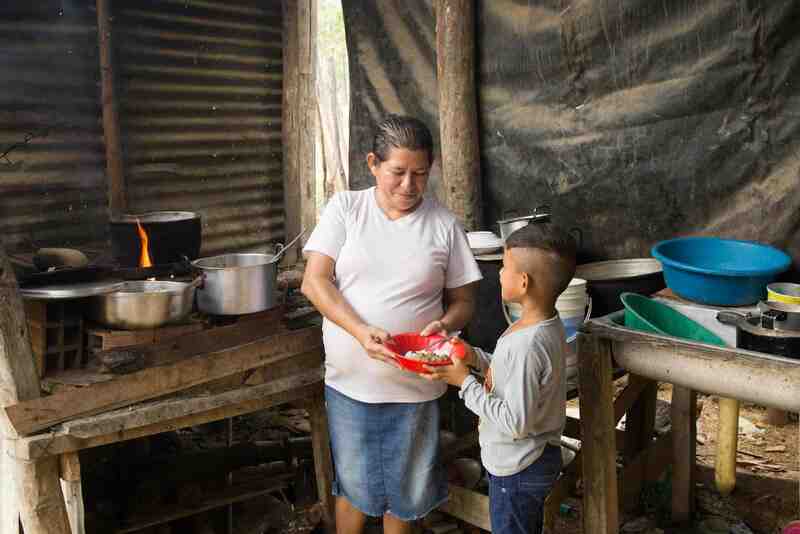 Ana provides the family with food on a daily basis, cooking for them on her wood-burning stove that she made herself in her backyard. The Numa family are also rescuers. The Numas, a family of five, are also looking to help the Venezuelans. The father, Adiberto, is out looking for work every day. 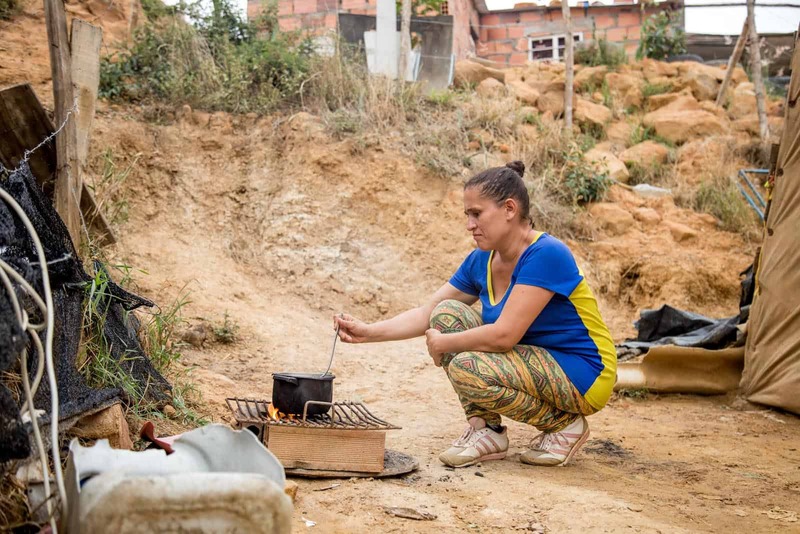 Unemployment has worsened now that there is so much more competition for informal work from Venezuelans who have settled here. He struggles to find enough work to feed his family. 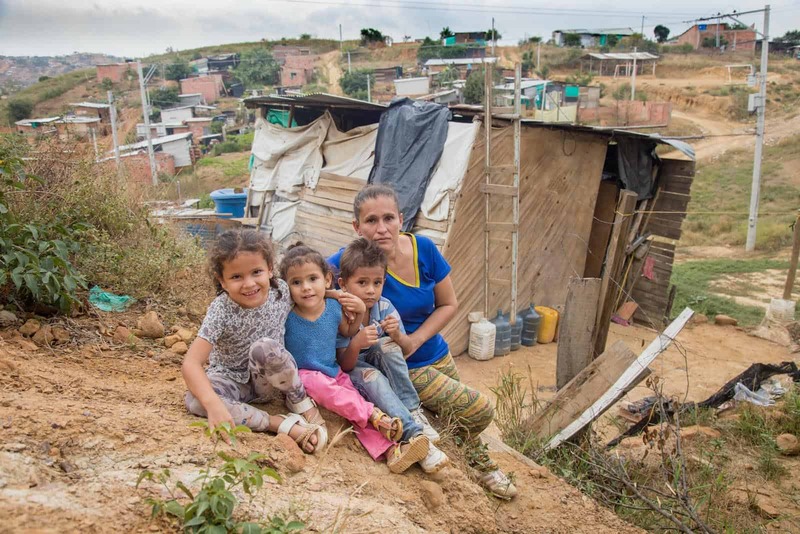 Despite this, Adiberto and his wife, Gloria, have taken in two Venezuelan friends to live with them in their humble room made from plastic tarps, old wood and metal roof tiles. They share with them the little food they have. “We help Venezuelans because at least we have a roof, but Venezuelans are adrift,” said Gloria. We honor these rescuers who will never make the news. So often in times of crisis, like the one happening in Venezuela, we hear what governments or organizations are doing. But we so rarely hear these stories of heroism, these acts of compassion from the ones who are on the front lines: people living in poverty. 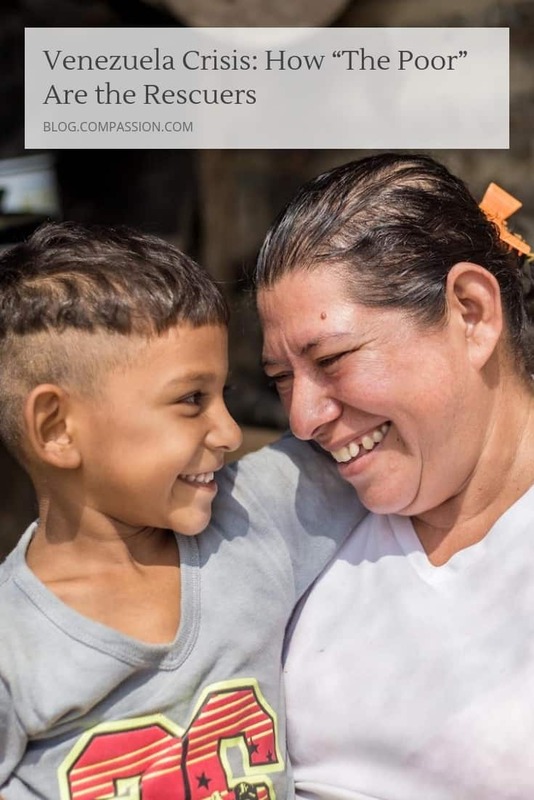 Seeing how many local families had begun to provide for asylum seekers – even when their own children didn’t have enough to eat – Compassion Colombia jumped in to give additional help. 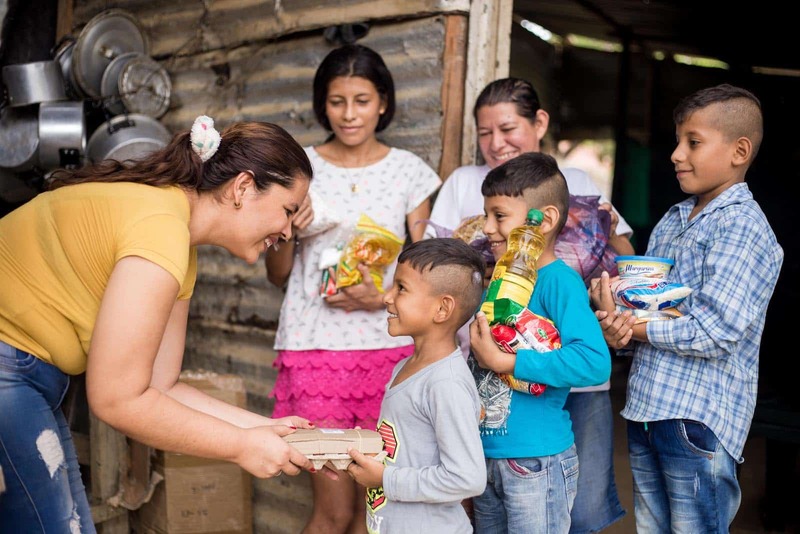 Through the local church, they are providing groceries to families in Compassion’s program so that these families can continue to pass on the blessings to their displaced neighbors. 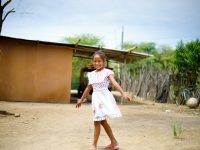 The churches in Cúcuta are committed to continue supporting these communities in need, regardless of their nationality. In the coming months, Compassion’s church partners plan to carry out medical brigades, delivery of hygiene supplies and other services. We pray that each of us could have a heart of faith and compassion like Ana, Adiberto and Gloria. Lina is a Photojournalist for Compassion Colombia. Are the Numa children in the Compassion Program in Columbia, and are they sponsored? This history is very touching and requesting our attention about what is happening around us. Imagine what will be the world if only rich people had these compassionate hearts!! May God raise again more people who will stand for caring about desperate people! !